Just days after being awarded a coveted fourth star by TheNew York Times, the Mario Batali-helmed restaurant Del Posto is contending with a lawsuit filed by 27 workers who say they weren't paid a legal wage. The lawsuit, filed Tuesday in Manhattan federal court by waiters, busboys and other staffers, claims managers at Del Posto improperly pooled workers' tips in violation of state labor laws and illegally withheld a portion of some gratuities on wine and cheese sales. Michael Weber, the lawyer for celebrity chef Batali and partners Joseph and Lidia Bastianich, didn't immediately return a phone message seeking comment. Tip-pooling has caused trouble for a number of New York restaurateurs in recent years, as employees have fought back in court against other celebrity chefs, including Bobby Flay, as well as their lesser known counterparts. 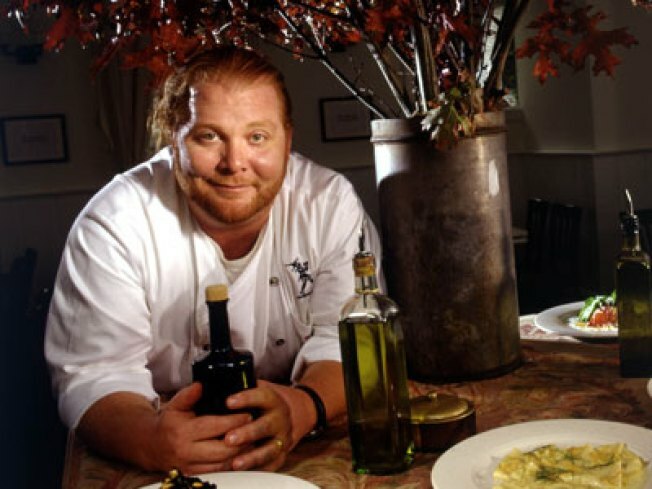 Batali and his partners are already defending themselves against similar suits involving other restaurants. The lawsuit filed Tuesday claims that all workers at Del Posto — praised a few weeks ago by New York Times food critic Sam Sifton as "a pleasure that lasts, offering memories of flavors that may return later in a dream" — were subjected to a point system that determined how much they got in gratuities. Captains — the highest rung on the waitstaff ladder — were allotted six points. Bartenders came next with five points, "front waiters" and food "expediters" got four and the other staffers received smaller amounts, with stockers getting two. The lawsuit also said staff who worked banquets weren't getting their proper share of a 23 percent service charge billed to patrons that they probably assumed was a gratuity. Instead, the workers got a flat fee of $150 to $250 per shift, depending on their role. The lawsuit seeks compensation including backpay, unspecified damages and attorney's fees.